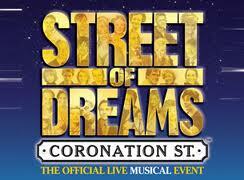 The Coronation Street musical Street of Dreams has postponed its tour, with the producers claiming they are “are far from happy with the show artistically and are not prepared to take it out again in its present form. 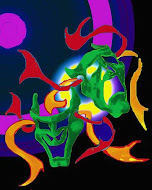 We will be re-working the show for dates later in the year”. The show opened to mixed reviews in Manchester on May 9th and was due to tour to Dublin, Belfast and Newcastle later this month. John Ward from Reckless Entertainment stressed the show has not been cancelled but admitted that it has “been a very rocky ride”. Crikey, the limelights are still hot from the first show and already it is being postponed? Was it the negative reviews from the critics down South (most of which believe the M6 & M1 end at Birmingham) that have brought the show to a faltering stop or as John Ward states, 'We are far from happy with the show artistically and we are not prepared to take it out again in its present form”. If this is the case, why oh why did they proceed with the show knowing it was not fit for purpose in the first place???? I have not seen the show, but hope to do so if it's still going in a couple of months. They had already postponed the opening from March to May. The plug has been pulled with immedaite effect. Suspect all will go quiet until much later on in the year if it is to be resurrected. With all its problems and difficulties I think it's probably disappeared without trace. Such a shame, any inside info as to who or what was to blame? Hi Alistair. Seems like they have funding issues with no money to pay cast. Ouch! That's not going to go down well with the cast. Which is why the tour has been pulled with immediate effect! !